During this month in history, one of the biggest celebrations in New Bern occurred at the completion of the Atlantic and North Carolina Railroad from Goldsboro to New Bern on April 29, 1858. Fifty-one men were part of the committee to plan and provide the celebration. 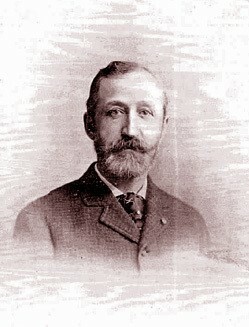 John D. Whitford, who was president of the railroad, was named as chairman of the ball committee. William H. Oliver was appointed as entertainment chair and that meant he had the task of finding a way to prepare food for local residents as well as the thousands of guests they were expecting. Mr. Oliver ordered white granite plates, glassware and cutlery from New York. He ordered two thousand pounds of fresh meat and one thousand bushels of oysters. The meat and oysters were delivered on a Tuesday in extremely warm weather. Everyone was afraid the food would spoil, but fortuitously, by the next morning, a heavy snow had fallen so the food was saved, much to the relief of the organizers. Mr. Oliver arranged for a boat load of fine sweet potatoes; Mr. Sebastian Bangert, the owner of a bakery and confectionery, put them in his oven on Wednesday night and they were ready for consumption on Thursday. Mr. Bangert also baked a large amount of bread to feed the guests. Visitors arrived in trains from all parts of the state and it was estimated that eight thousand people filled the streets of New Bern. Reverend Francis Hawks addressed the visitors and townspeople at Academy Green. There was a thirteen gun salute, a military parade at the Academy and instrumental music by the United States Band from the ship “Pennsylvania.” Everyone then processed to the Round House at the railroad depot. All were invited to a banquet in the railroad machine shop which was the only facility large enough to hold everyone. Seven long tables were covered with nice white cloth and laden with the dishes, glassware and food provided by almost every household in New Bern. It was all served with champagne and scuppernong wine. Later a ball was held at the railroad depot, and was quite successful. John C. Coart, a local auctioneer, sold the cutlery and glassware at public auction and enough was realized from the sale to cover the initial expense. In March 1938, Our State Magazine published an article entitled, “New Bern Has History Month” written by local historian Gertrude Sprague Carraway. According to Ms. Carraway, this was the second year in a row that New Bern was observing “History Month.” What exactly did that entail? An initial program was given at a public meeting of the Board of Alderman on March 1 and other organizations followed suit. Ms. Carraway declared that New Bern was believed to be the first in North Carolina to observe Local History Month, mark historic spots, issue free guide-books and offer guide services. Ms. Carraway was an enormous advocate for historical preservation, not only in New Bern but for other local, State and national areas as well. Born, August 6, 1896, she was a native and lifelong resident of New Bern who received her A.B. degree from UNC at Greensboro and later did graduate work at Columbia University in NY. She was a teacher, journalist, reporter, and Director of Tryon Palace Restoration. She was appointed by every governor in NC to membership on the Executive Board of the State Archives and History. She was the author of over fifty booklets, feature stories and numerous books, including the “Crown of Life,” a history of Christ Episcopal Church in New Bern and “Years of Light,” a book about the history of St. John’s Masonic Lodge #3. Ms. Carraway served as secretary of the Tryon Palace Commission from its inception in 1945 and resigned in 1956 to assume the position of Restoration Director to which she served until her retirement in 1971. She was President General of the National Society, Daughters of the American Revolution from 1953 to 1956 and served as editor of the national magazine of the DAR. She was granted honorary lifetime status as President General. She was a member of numerous local, state and national organizations dedicated to history and the arts. She was friends with First Lady Mamie Eisenhower and was instrumental in inspiring President Dwight Eisenhower to declare one week in September as Constitution week. Her biography appeared in Who’s Who in America Who’s Who in America Education and Who’s Who, American Women. The was named “Woman of the Year” in New Bern in 1958 and was honored by state Magazine as the North Carolinian of 1962” and the North Caroliniana Society award in 1982. Ms. Carraway died on May 7, 1993 and is buried in Cedar Grove Cemetery. March is now celebrated as Women’s History Month and who better to honor and remember in New Bern than Gertrude Sprague Carraway? After the Battle of New Bern on March 14, 1862, the city was occupied by Union Forces. New Bern became a major military operation center and supply depot for the Union. In 1864 the Confederates devised a bold plan to launch a surprise attack by land and sea to recapture New Bern. John Taylor Wood would head the naval operation to capture a Union gunboat and Major General George Pickett would lead the land attack against the city. Major General Pickett had approximately 11,000 troops under his command and he planned to make a frontal attack against New Bern with the mass of his troops. Brigadier General Seth Barton, along with cavalry and artillery would cut the Atlantic and NC railroad at Morehead to prevent Union troops from providing reinforcements. Colonel James Dearing would attack Ft. Anderson which would also prevent reinforcements from across the river. The railroad bridge at Bachelor’s Creek, approximately 10 miles northwest of New Bern, marked the western edge of Union control. Union pickets were posted along the outer banks of the creek and Confederate troops set up picket lines approximately 2 miles from Union lines. Bachelor’s Creek was the dividing line between Federal and Southern forces. Pickett moved on New Bern dividing his troops into three columns. During the early morning of February 1, 1864, Pickett’s division of infantry, cavalry and artillery advanced between the Trent and Neuse Rivers to attack and cross the bridge at Bachelor’s Creek. At the time of the attack, Lt Abram Pye Haring of the 132nd NY Volunteers along with eleven men was on outpost picket duty guarding this bridge. At 3:00 a.m. the rebel forces attacked the outpost under a heavy fog and in overwhelming force. One man was dispatched for reinforcements and Lt Haring and his remaining men valiantly defended the bridge for over two hours. 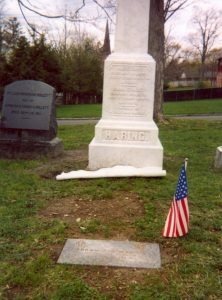 The Confederates brought up artillery and sharpshooters to assist their infantry and with five hundred eighty men, made three successive charges before daylight, each time being repulsed by Lt. Haring’s small band of men. The Union soldiers were finally reinforced by 150 men of their own regiment. Unable to advance, the Confederates moved down the river where they constructed a bridge, crossed, and attacked from the rear forcing Lieutenant Haring and his men to finally withdraw. At 9:00 am the enemy flanked and routed the Union forces and took a number of prisoners. Pickett’s troops advanced upon New Bern, but after a 24 hour wait, Pickett retreated with his army believing an assault to be imprudent. John Taylor Woods had blown up the Union gunboat, the Underwriter, but without Pickett’s assault on the city, the Confederate recapture of New Bern was not possible. The city would remain under Union occupation until the end of the war. On January 16, 1777 in the Council Chambers of Tryon Palace, Richard Caswell was sworn in as the first Governor of the state of North Carolina. He served from 1776-1780 and later served as its fifth Governor from 1785-1787. Richard Caswell was born in Maryland, but moved to North Carolina at the age of 16 arriving in New Bern in 1745 with a letter of recommendation from the governor of his home state. Richard was made apprentice to a surveyor, James Mackilwean, and lived with this family for 2 years at their plantation near Kinston. At the age of 18 his training was completed and he became a deputy surveyor general. In 1752, Richard married Mary Mackilwean, the daughter of James. She died in 1757 due to complications of childbirth and in 1758 Caswell married Sarah Heritage. Her father, William, was a lawyer, planter and political leader and Caswell began studying law under his tutelage while at the same time clerking for the Court of Orange County. In 1759 Caswell was admitted to the North Carolina Bar and set up his law practice in Hillsborough. He also was commissioned deputy attorney general and served in that capacity for four years. For over twenty years, Richard Caswell was elected to and served as a member of the colonial assembly (1754-1776). Caswell initially was loyal to the King of England and had aligned himself with Royal Governors, William Tryon and Josiah Martin, but his view later changed and he decided that King George’s rule was unjust. He became an active member of the colonial militia and in Sept 1775 was commissioned as Colonel to lead the New Bern District minutemen. He led the Patriot troops at the Battle of Moore’s Creek Bridge on February 2, 1776 and was commissioned a Brigadier General over the New Bern District Brigade. In 1774 the American colonies called for a Continental Congress. Each province sent delegates to Philadelphia in Sept of 1774 and Richard Caswell was chosen as one of the 3 delegates from North Carolina. In 1776 Caswell was asked to serve as presiding officer and chair of the committee that drafted the State Constitution. After the adjournment of Congress, Caswell was elected to serve first as interim Governor, and then, after a few months, was elected to serve as the first Governor of the new State of North Carolina under this new Constitution. In 1785 Caswell was again elected to serve as Governor for three one year terms. In 1787 Caswell was chosen to serve as one of North Carolina’s delegates to the United States Constitutional Convention, but he was unable to attend due to failing health. On November 8, 1789, Richard Caswell suffered a fatal stroke while speaking to the State Senate in Fayetteville and died two days later at the age of 60. Caswell was buried in the cemetery of the Red House plantation, Kinston, next to his first wife. There are no headstones for their graves. It is now the current site of the Richard Caswell Memorial Park. Caswell County and Fort Caswell are also named for him. Richard Caswell should long be remembered as a statesman, soldier, Governor and patriot. On December 7, 1939, the North Carolina Society for the Preservation of Antiquities, predecessor to what’s now Preservation North Carolina, met for the first time in the ballroom of the Carolina Hotel in Raleigh. The keynote speaker was Gertrude Carraway of New Bern, who called for the restoration of Tryon Palace. On November 26, 1787, Bayard v. Singleton, a landmark North Carolina court case that set a precedent for the exercise of judicial review, was decided in New Bern. That year, Elizabeth Cornell Bayard filed suit to reclaim lands and property of her father, Samuel Cornell, which had been confiscated at the close of the American Revolution because of Cornell’s loyalist sympathies. Although the Court decided against Bayard, the Bayard v. Singleton case set the precedent for judicial review within the American legal system. On October 30, 1918, James Walker Hood died. Hood was a missionary in the African Methodist Episcopal Zion Church, and was sent in 1863 to North Carolina where he served black congregations in New Bern and Beaufort. He established a North Carolina Conference of the AME Zion Church in 1864. He became a church bishop in 1872. In addition to his role in the church, Hood also sought to become involved in politics as a vocal and successful advocate for the rights of blacks. On September 5, 1802, political rivals John Stanly and Richard Dobbs Spaight, both armed with smooth-bore flintlock pistols, took deliberate aim at each other and fired. It was 5:30 p.m., and the pair were positioned behind the Masonic Lodge in New Bern. Approximately 300 spectators crowded around. On the fourth discharge, Spaight fell, having been struck by the bullet in his side. He died the next day. On August 9, 1751, James Davis issued the North-Carolina Gazette, the first newspaper to appear in the colony. Davis had established the colony’s first printing press two years earlier in New Bern. In that capacity he printed currency and various official publications. On July 30, 1863, Gen. Edward Wild departed New Bern with his “African Brigade” for the coast of South Carolina. The 1st NCCV, raised by Wild in North Carolina, became the 35th United States Colored Troops (USCT), fighting all of its battles and skirmishes in South Carolina and Florida, including the action at Battery Wagner, later made famous in the movie Glory.